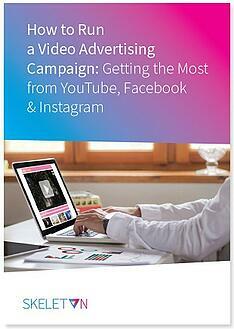 Learn how to get the most from hardworking video ads on YouTube, Facebook and Instagram. Get through to your audience where they spend their time. Create powerful video adverts that connect with your leads all across the marketing funnel. Download our guide for the three major stages to investing in smart video advertising campaigns that support your marketing strategy, plus examples to inspire you.